EDMONTON, AB – Alley Kat Brewing has announced the release of this year’s edition of a fan favourite winter seasonal brand. Deep amber in colour, this hearty beer carries strong malt flavours that are balanced by a hint of warming alcohol and dried fruits to please the tastebuds and warm the heart. Designed for nine lives, our Olde Deut can be enjoyed now or laid down and cellared for a special occasion in the lives to come. 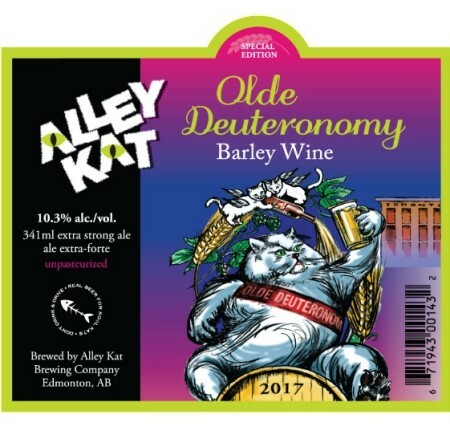 The 2017 vintage of Olde Deuteronomy will be released tomorrow (November 23rd) in a limited run of 341 ml bottles available at Alley Kat and select liquor retailers in Alberta.